The rapid and relentless advancement of technology means that the younger generation are increasingly exposed to a wider and more varied source of information. This has a knock-on effect on the evolution of educational techniques, and, in turn, in educational environments. New thinking now places an ever-growing emphasis on the importance of learning spaces, in addition to curriculum, class size and location. We were lucky enough to speak to Peter Cunningham, the Design Manager of commercial interior design and manufacturers Innova Design Solutions, about the changing face of our children’s classrooms. In the first segment of this two-part interview, Peter shed some light on how educational interior design has already been evolving, what we can expect in the future, and some role models for the UK to aspire to, among other topics. Over the last decade, the way in which our children are being taught has been developing and adapting to the growing influence of technology on education. “Visual and interactive learning spaces are becoming central to teaching with the introduction of smart boards, touch screens and green screen technology. Smart phones and tablets are becoming increasingly used as resourceful tools in lessons,” says Peter. 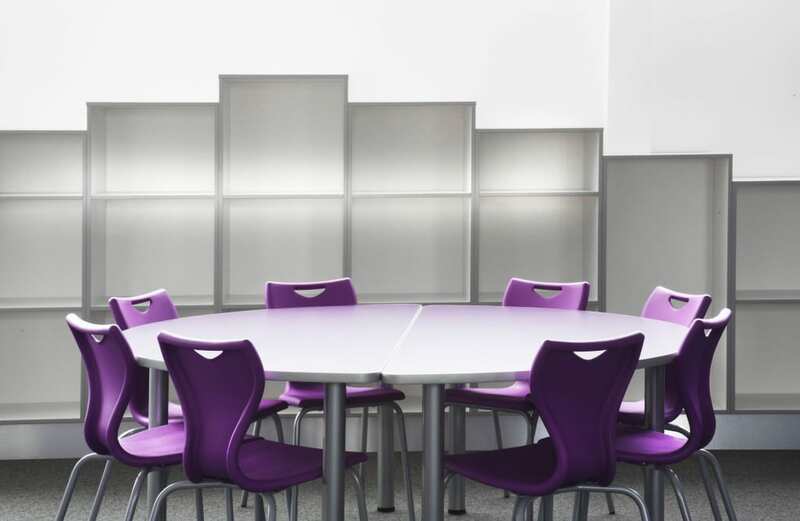 A 2012 study by U.K. design firm IBI Nightingale & the University of Salford found that the confluence of classroom design features, such as room orientation, HVAC, acoustics, and furniture, can enhance or set back a student’s academic progress by up to 25 percent during the course of a year. Peter champions the importance of internal environments in the classroom, and, indeed, has helped to pioneer a new successful classroom model. Indeed, such a shortcoming in the education budget has led to the government’s recent restrictions on school building designs, including a ban on curved and glass walls. However, many architects are using the revealing 2012 study to try and fight the ban. Whilst Peter recognises the constraints that the government operates under, he is keen to stress the dangers of neglecting the educational environment. “This study is proof that classroom design matters and yet in a lot of projects we see, classroom interiors tend to be the last areas considered, and specifications are often determined by the amount of money that is left in the pot, rather than something that is budgeted for. A concerted effort to improve the classroom environment has clearly been proved to improve the performance of students. In this segment, Peter laid out the basic changes that have taken and will take place over the coming years, as well as pointing out some early role models and highlighting the challenges posed by budget and space availability. In the next segment , Peter gets into more specifics about the importance of the appropriate furnishings in the classroom, including furniture, technology and student input, as well as more general contributing factors, like colour schemes and security. As an enthusiastic design fan, lover of interiors and writer, Rob contributes to a smorgasbord of varying website blogs on a number of subjects. Rob is a proud father and husband of an ICT specialist, which drives his interest in educational architecture.